To celebrate the release of my new pattern set, More Vintage Floral Doilies, I am having a contest! I will give the winner PDF copies of "More Vintage Floral Doilies" and the gift pattern that comes with it, "Belle in the Rose Garden." I will also include a copy of my original patterns for "Vintage Floral Doilies." I will select the winner at random on Saturday morning. I will post the name of the winner here, so be sure to check back to see if you won. 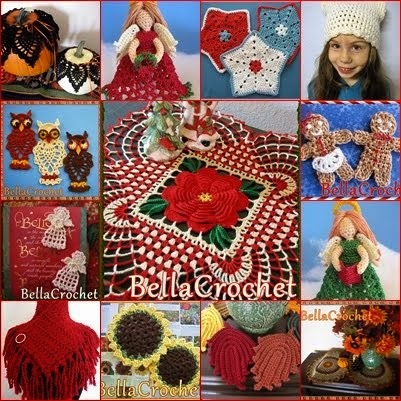 I will send out the patterns as soon as I hear from the winner. Have you ever made a doily you were especially proud of? If so, why, and what did it look like? I love making doilies! I have two favorites. One is the Kansas Summer (my name for it) doily I made to resemble a sunflower surrounded by hot white for Kansas summers, and edged in pastel blue for, of course, the blue sky. My other favorite is one straight out of a crochet book, with lots of Irish roses in it; the colors are the only deviation from the original pattern. I love, love, love BellaCrochet designs! I love making doilies. A favorite I used to make is the pineapple. I love your designs and thank you for letting me enter your contest. I love your designs. They are lovely. I love to make doilies. A favorite I used to make is the pineapple. Thank you for having this contest. I made a Stargazer Lily doily. It was very intricate and the designer said mine turned out better than hers. I was so proud! Your new floral doilies are just gorgeous! I just love to crochet with thread and your patterns are easy to read. I love to crochet, and have a favorite doily that I made years ago, a big ruffled design that is on my round coffee table most of the year. I especially love to try new things, and right now I'm working on your pattern for the Flower Basket in a tea cup. I made the Easter Bonnet sachet and it is adorable! Thanks for your delightful patterns! I have not made a lot of doilies but love them all the same. I have the book "Leisure Art's 99 little Doilies. I made number 50 and 50 which are oblong in shape. I loved making them and my MIL loved receiving them. I collect patterns and would love to have some of yours so when I become more Proficient I will having something very beautiful to work on. Your Springtime Floral Doily has been on my want-to-do list for some time. I can't seem to get past what green to use (bright, muted, variegated). I wish I were more decisive. I'm proud of every doily I make. I'm in the process of crocheting the Lords Supper in filet, and I'm so in love with the process. I especially love your doilies because I love your patterns. So prescise in detail. Thank you for that. 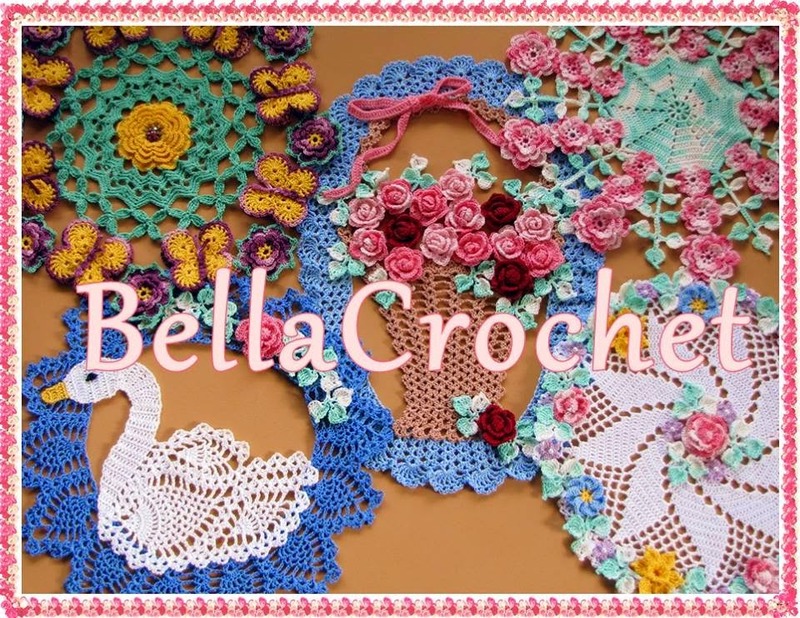 I've never actually made a doily and this would be a good opportunity to try something new in crochet! 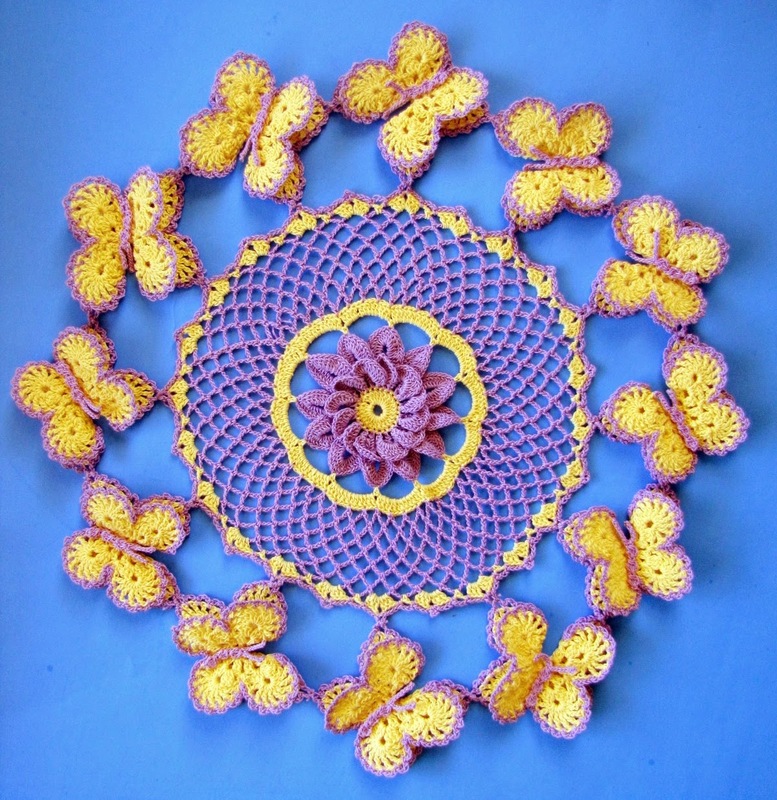 I crocheted a doily years ago it was the pansies (yellow and purple alternating) border doily. I still have it too. Me sentí muy orgullosa del primer tapetito que teji a crochet, er adornado con rosas de varios colores. I have made many doilies but the one that I am most proud of is my very first which was quite small but had a ruffle all the way round it and made with size 40 thread. It was a gift for my mother who still uses it and it was made about 40 years ago! I crocheted a beaded doily using 2 different colors of seed beads strung onto white crochet thread. Also, 2 colors of pearl cotton thread was used for accents. The doily turned out beautiful and got many compliments. It also won a Grand Champion ribbon at the fair. I was very proud of my first floral doily. A while back I made a filet doily that I called daffodil doily. It was made with small thread and measured almost 30 inches across. It is by far the most beautiful doily I have made and I'm very proud of the way it turned out. My favorite would be one that I just went with the flow and made my own and then added beads!!! Yep, I sure did..LOL...anything I crochet with thread I feel very accomplished in...it just gives me that "feeling" different than a yarn project. You know, I really don't have a favorite..I like working with thread and creating doilies. I have worked many of yours..love the potholders by the way....thank you so much for the generous opportunity to win these patterns. The doily I am most proud of is the tiny one I made at about age 10 with my grandmother's hook and thread by copying one of her doilies. She had died before I was born, but discovering her lovely artistry ignited my passtion and set me on a lifelong pursuit to become a crocheter of equal talent. I tried making one when I first learned to crochet and it was a disaster, I am left-handed and my Step-Mother taught me to crochet by mirroring her. I haven't tried since and that was 40 years ago. I do love them though and one day I will get one done.